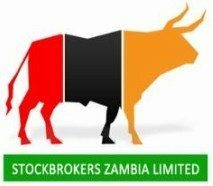 In compliance with the requirements of the Securities Act and the Listing Rules of the Lusaka Securities Exchange, Copperbelt Energy Corporation Plc (CEC) announces its unaudited results for the period ended 30 June 2018. CEC’s core business remains the supply of power to the mines on the Copperbelt in Zambia and Katanga Province in the Democratic Republic of Congo (DRC), working with SNEL (DRC’s state-owned utility) to deliver reliable power to mining customers. CEC continues to wheel power through its network on behalf of other customers including ZESCO Ltd and to operate an interconnection between Zambia and the DRC. CEC has 50% direct equity interest in CEC Liquid Telecommunication Limited (CEC Liquid Telecom), whose business is the provision of wholesale capacity and internet bandwidth to the Zambian market, and a host of other connectivity solutions and ICT services through its subsidiary, Hai Telecommunications Limited. The Company is committed to providing sustainable shareholder return through dividends and share price appreciation; all of which can only be underpinned on sustained profitability. Revenue at half year increased 17% in Zambian Kwacha (ZMW) terms and 14% in United States Dollar (USD) terms compared to the same period in 2017, mainly due to an increase in power supplied to the mines and the effect of the exchange rate. Operating costs have been contained at the same level as the preceding year at ZMW275 million due to the Company implementing various cost efficiency initiatives. The Company has recorded a profit after tax, for the period, of ZMW246 million compared to ZMW211 million the same period in 2017. The exchange rate for the six months ended 30 June 2018 averaged K9.82 (2017: K9.54) to the USD, a depreciation of 3%. The closing rate on 30 June 2018 was K10.04 (2017: K9.25). In March 2018, the Company paid a dividend of ZMW255 million (USD26 million), which translated to 15.57 Ngwee (ZMW0.1557) per share. Prior year declared and paid dividend was ZMW199 million (USD21 million), translating to 12.80 Ngwee (ZMW0.1280). Overall, the improved hydrology at the key power generating sites was positive to the country’s power availability situation and generally contributed to an improved business environment. Commodity prices continued to be strong during the period and, more importantly, the outlook for commodities in the near-to-medium term is bullish. The higher commodity prices and bullish outlook have positively impacted on the viability of a number of mining projects. Hence, it is expected that power demand recovery will continue to actualize in 2018 and 2019. 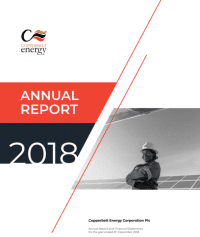 Consistent with our projections, the sales to June 2018 at 1,723 GWh were 3% better than the energy sales for the same period in 2017 (1,672GWh). The partial force majeure, declared by ZESCO under the Bulk Supply Agreement (BSA) in 2015, limiting supplies to 70% of CEC’s power requirements, was lifted in April 2018, subsequent to which, all of the local demand is being met from local generation under the BSA. Our commitment to HSES excellence at both operations and project levels remains core to our Company values. During the period, man-hours without a system based lost time accident extended from 2.255 million hours as at June 2017 to 3.882 million hours. From an environmental sustainability perspective, our legal compliance to all environmental obligations continues to be satisfactory. The Company received the 2018 environmental award conferred by the Zambia Environmental Management Agency (ZEMA) in recognition of its overall contribution to sound HSES management practices in industry. The performance of CEC Liquid Telecom and its retail arm, Hai, for the half year was very strong. Revenue grew by 26% to USD16.149 million (ZMW158.502 million), while net profit grew by 2% to USD1.007million (ZMW9.884 million) compared to the same period last year. Strong performance is on the back of sustained customer base growth across wholesale, enterprise and retail products. CEC Liquid Telecom commenced and continues to make impressive progress in the roll out of its 4G LTE service to all the ten provinces in-country. Retail internet penetration is expected to drive growth for the business as the company delivers quality services to the Zambian population. The Company remains optimistic on its operations and financial performance for 2018. It is anticipated that the business will continue to make prioritized capital expenditure aimed at realizing its asset modernization and expansion strategy. This strategy will position the business to continue supplying reliable power to its customers. Focus will be to efficiently support the expansion projects being driven by specific customers on the Copperbelt and DRC aimed at increasing productivity. Our strategy around regional power trading remains solid and during the last half of the year, the business will continue to consolidate its position as a reliable power solution partner to SNEL and the mines in DRC. We expect to record continued growth from this market segment underpinned by new supply contracts such as the 10-year supply contract entered into with major cobalt and copper tailings reprocessor, Metalkol SA and SNEL, announced on 27 July 2018 (https://cecinvestor.com/cec-signs-power-supply-deal-with-drcs-metalkol/). On 23 May 2018, the Company communicated, through a Lusaka Securities Exchange SENS announcement (https://cecinvestor.com/divestment-cec-liquid-telecommunication-limited/), that a Sales and Purchase Agreement was executed between CEC and Liquid Telecommunications for the sale of CEC’s interest in CEC Liquid Telecom. The parties continue to work on fulfilling the conditions precedent required to achieve completion of the transaction.